Rare sugars as the ideal sugar substitutes? Amar van Laar (Universiteit Gent) wants to make sure that we can all continue to enjoy our delicious Belgian chocolate in the future without feeling guilty. He is looking for so-called rare sugars: natural sugars that are healthier than the commonly used 'table sugar'. These rare sugars offer many advantages over the current sugar substitutes such as aspartame. Amar van Laar has always had a passion to improve people’s wellbeing. This passion made him want to study human health and the factors that can improve it. He first studied general Health Sciences in Maastricht and focussed more on Nutrition during his master in Wageningen. 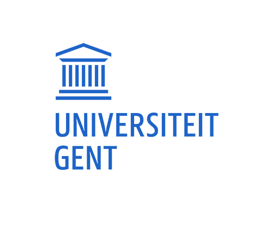 After studying the effects of nutrients on cancer prevention, he started his PhD at Ghent University to study rare sugars in the context of diabetes in order to evaluate whether these sugars may be the ideal healthier alternatives for regular sugar. Why do some people get sick more easily than others? This is often due to differences in our immune systems. Nicolas De Neuter (UAntwerp) hopes to understand these differences, in order to develop better and more efficient personalized immune therapies.